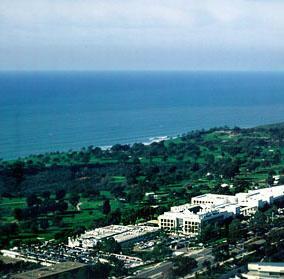 The University of California, San Diego (UCSD) is recognized as one of the top 10 public universities by the U.S. News and World Report; and is known as an academic powerhouse and economic engine. Still, the university staff is always looking for ways to better the learning environment for its students, as well as to enhance the equipment, tools and features that make the campus as highly recognized as it is. UCSD offers outstanding education and research at numerous levels, including: undergraduate, graduate, professional and postdoctoral. The universities academic make-up includes six undergraduate colleges, five academic divisions and five graduate and professional schools. Not only does UCSD strive to provide it’s faculty, staff and students with the most innovative and collaborated interdisciplinary culture, but they are constantly searching for ways to better the campus itself. With new buildings and renovations, and additions to current buildings, the university always has an ongoing list of active projects. Here are just a few of the projects that are underway right now at UC San Diego. The SIO MESOM Research Laboratory Facility (which stands for Ecosystem Marine Sensing Observation and Modeling (MESOM), at Scripps Institution of Oceanography/UC San Diego), is one of the many facilities undergoing construction. This new facility will be three-stories tall and will span 21,300 square feet, which will be divided between 12 laboratories, 56 offices and 3 conference rooms. The building will also be home to a new multidisciplinary program aimed at the development of biological, chemical and physical sensors. Not only will the building provide an abundance of space for the lab researchers, but it will also enable Scripps to combine researchers from multiple disciplines. As of now, these researchers are scattered about in five different buildings around the universities' 1,200 acre campus. 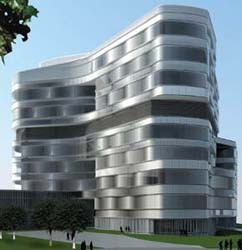 The UCSD planning staff has high hopes that by designing this building with maximum energy efficient features and systems, that they will be awarded with a United States Green Building Council Leadership in Energy and Environmental design Platinum rating. This project has an estimated budget of $26.5 million, and was scheduled to be completed by mid-December 2012; however the project staff and construction team were unable to meet this deadline and no new date has yet been set. Looking into the future of UCSD, the most exciting and innovative project taking place is the state-of-the-art Jacobs Medical Center (left), which is designed based on a garden theme in order to maximize the natural light. This center will tower 10-stories high, will stretch 509,500 square feet, and will be situated directly adjacent to UC San Diego’s Thornton Hospital in La Jolla, CA. The projected cost of completing this massive project is an astounding $670 million, making this project the most costly of all the active renovations at UCSD. This center will house: 245 beds, 108 Medical/ Surgical beds, 36 intensive care unit beds, 14 operating rooms, 8 labor and delivery rooms, 32 postpartum inpatient rooms, 3-room Birthing Center, 3 rooms for C- Section deliveries, and 52 Neonatal Intensive Care Unit bassinets. 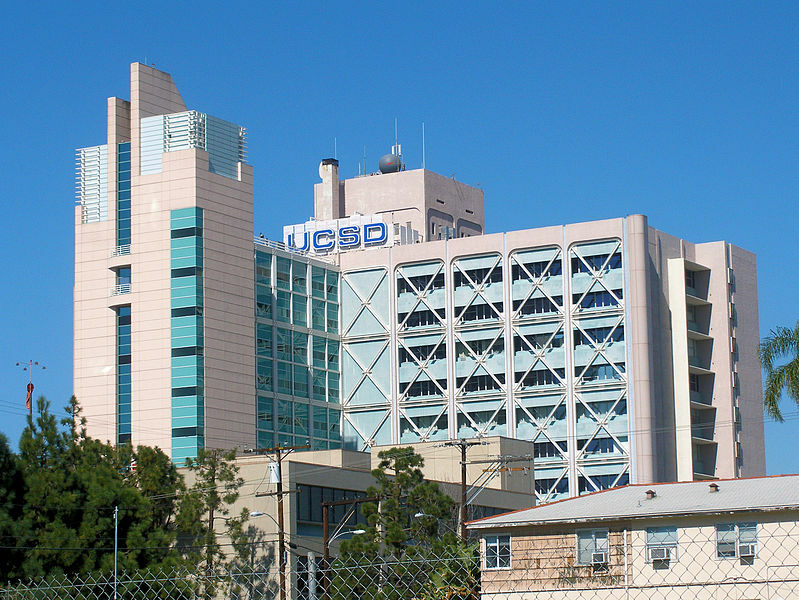 With such a large and expensive project at hand, the planning department at UCSD has scheduled the completion date for June of 2016, with a grand-opening date of December 2016. 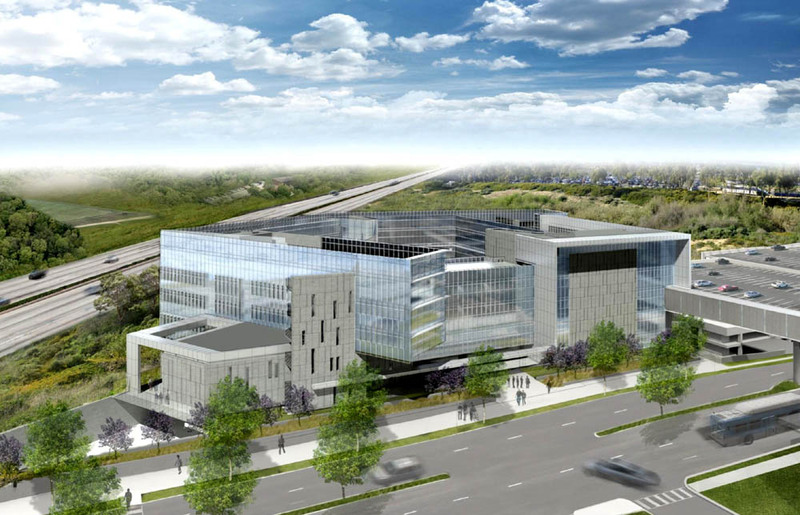 Also in the works, however not yet under construction, is the Central Research Services Facility. This building has a construction cost currently set at $27,000,000 and has a completion date of August 2013. The Central Research Services Facility Project is designed to provide the campus with approximately 40,500 gross square feet of space for the universities Animal Care Program, Animal Welfare Program, Health Sciences staff and other campus research departments. The planning department hopes that by introducing this new building, they will be able to minimize the use of natural resources, as well as allowing the switch from the existing and planned research space to direct research uses. Based off of this, it has been estimated that the university will see an annual savings of 18.5 million gallons of water, 24.2 millions pounds of steam, and 560,000 kilowatts of electricity. There are many benefits to becoming a member of CTRI, and it's available for any researcher or individual who may be interested in translational research. Construction is scheduled to start January 2013, and the estimated budget is set at $167,080,000. The University of California, San Diego's "Facility Design & Construction Project Information" list, describes 49 active projects, with 18 of them under construction right now. The completion dates range from next month to 2016, and there is no doubt that our already highly attended San Diego Biotechnology Vendor Showcase™ Event, which happens bi-annually, can only grow as a result of these exciting changes. In the past, these events have drawn over 700 research professionals per show. When we break down that number, we see that an average of 224 were either purchasing agents, professors or post docs; and an average of 77 were lab managers. These professionals came from 76 different university departments, and 69 different university research buildings from around the UCSD Campus. The researchers and scientists who attend are given the chance to be a part of a dynamic research and developmental market, so if you're a biomedical research lab supplier, a UCSD purchasing agent, or a San Diego area life science researcher, these are two events you should not miss out on. View our San Diego Biotechnology Vendor Showcase™ Video Clips here.